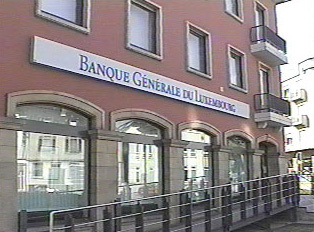 Luxembourg is one of the centers of European banking. It is a country that not only has many old and respected national banks but hosts many foreign banks as well. ATM machines are plentiful, often found outside of the bank. Money is exchanged at both the bank and the post office, and the rate is usually the same. If a customer has a personal account at a bank, the rate of exchange will be less, but there will always be a fee. A passport is not required to exchange money. Given that banking is such a priority in Luxembourg, it is easy for students who plan extended stays to open personal accounts. "Getting Money at the ATM"